Night Riots, believe it or not, is a clean-cut San Luis Obispo rock group (SLO for short). This five-piece band, formerly known as PK (a poppier version of Night Riots), has selected a new moniker that better suits its darker side as it explores the deeper aspects of music with varying tempos and somber, haunting melodies juxtaposed against uplifting choruses. Fans of Brandon Flowers, Robert Smith or Jimmy Eat World are sure to love them. This Friday night, they hit the Troubadour stage. Currently, the band is crowdfunding through indiegogo, hoping to raise enough money to release its new EP. 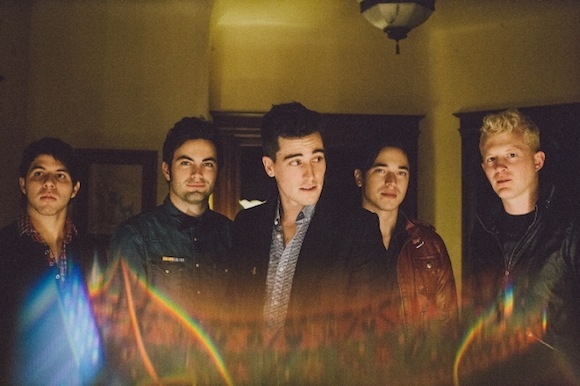 We caught up with lead singer Travis Hawley, who talked about the EP, the band’s newfound name and its ongoing summer tour. Question: Who else is in the band and does everyone write music? Q: How do you control the quality of your sound? Q: When did PK form and what is the meaning of the name? Q: So why change the name to Night Riots? Q: How does the music of Night Riots differ from PK? Q: Who else do you consider a musical influence? Q: What has the band been up to lately? Q: What other bands are really rocking these days? Q: Are you excited to play The Troubadour? Q: Where have you experienced the greatest audience participation? Q: How do you expand you mind? Q: Other than your fans, how do you gain inspiration?